El Arco in Cabo San Lucas (January 2019). Mexico had always been this sort of “familiar mystery” that I couldn’t quite put my finger on– although it was so close to home (a three-hour drive away), it also had a completely different culture from what I knew. It’s a bit surprising to say that I’d never visited Mexico during my childhood years, especially when it’s actually quite a popular vacation spot for Americans. In fact, it wasn’t this past January that I finally went, and that was when I got to see how it was alike, yet so different, from how I grew up in the U.S.
As a kid growing up in Los Angeles, I remember hearing many of my classmates who spent their winter and spring breaks in Mexico. Granted, they only stayed in resort towns like Cabo San Lucas or Cancún, but you can say that they still stepped on Mexican soil. While I don’t have much interest in traveling just to stay at a resort, I’m also interested in seeing new countries, even if for just a glimpse into what they offer. Several days after New Year, my family and I started off 2019 with our “annual family vacation” along the lower half of North America (i.e. Mexico), and from there we would spent two weeks cruising through Central America before crossing Panama, reaching Colombia, and ending in Miami. We caught our cruise ship at LA’s port in San Pedro and spent a day at sea before reaching the two cities in Mexico that we would be visiting. Our time in each city was short, since we’d only booked guided excursions that lasted only a couple of hours, but from that I was able to get an impression of one part of the massive country. 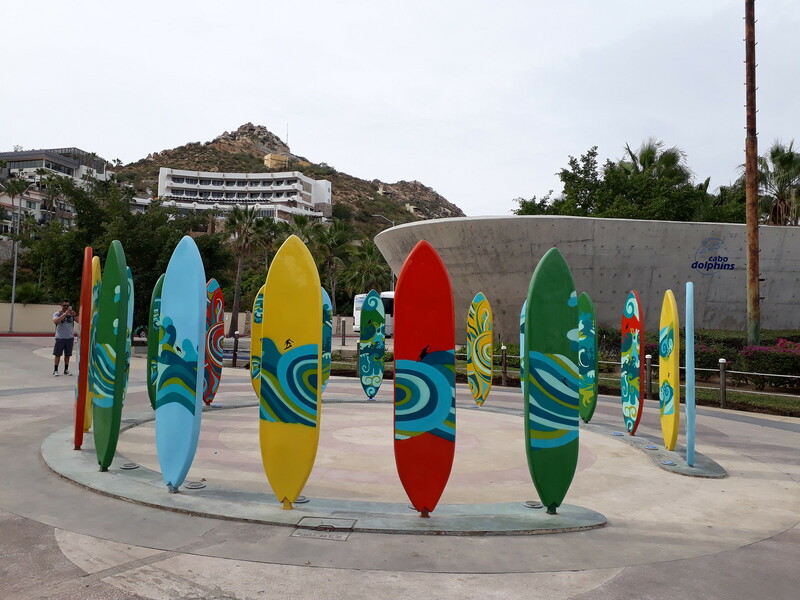 A resort city located off the southern tip of Baja California, Cabo San Lucas (or “Cabo,” for short) is a popular spot for tourists due to its lovely beaches, scuba-diving opportunities, and marine life. About two million people visit this city, in which there are only 81,000 inhabitants in the city proper– this goes to show just how much of an impact that Cabo makes on the Mexican economy, in terms of tourism. Because it’s so touristy, Cabo has seen rapid development in its infrastructure, with brand-new hotels, bars and nightclubs, and other amenities to draw more and more visitors in– much of its development has been unchecked, and there have been activists who have protested about its urbanization and potential destruction to the wildlife around it. All the same, tourists still come, whether to party or relax on the beach. Cabo was our first stop of our cruise towards the Panama Canal. I didn’t have any expectations of it until I stepped onto the dock, where I was immediately hit with sweltering humidity and numerous street marketers who were advertising tours to visitors. That said, my first impression of Cabo (and I can say Mexico, in general) was quite overwhelming. We had about an hour before our tour started, so my family and I just walked along the pier, which had all of the kitschy bars, restaurants, and souvenir shops that are common in touristy cities. 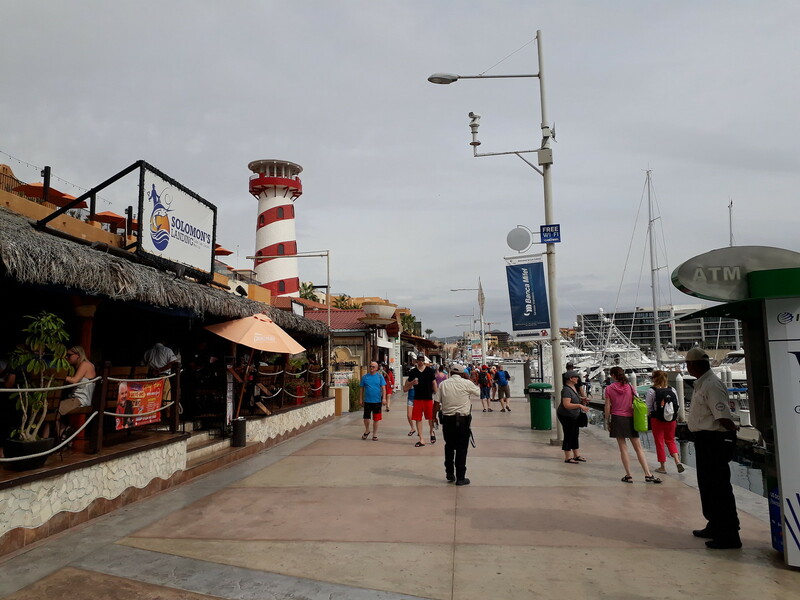 There was nothing really “Mexican” about Cabo, really, as it’s fully catered to tourists– we merely bought a few souvenirs at one of the stands and took a couple of photos before we congregated with other tourists on our cruise for the guided tour. 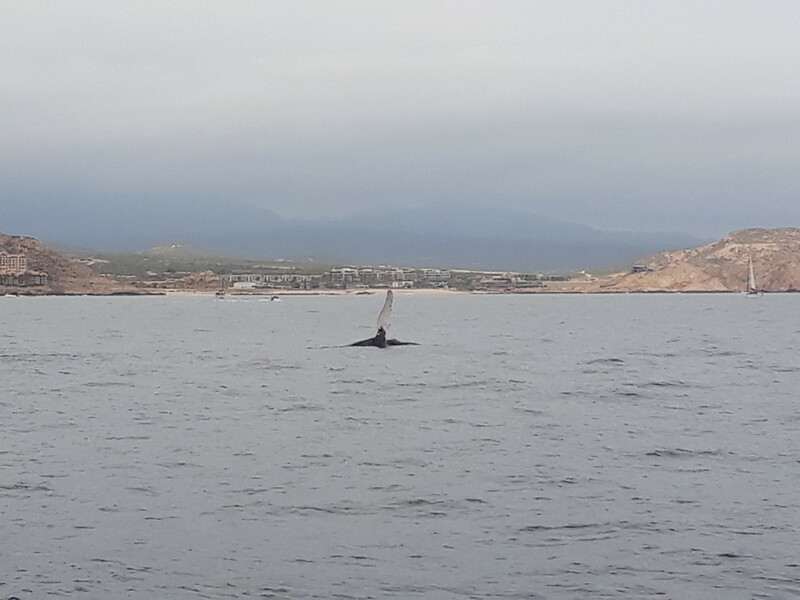 Instead of a walking tour that I’m usually accustomed to in many cities, our tour of Cabo was on a boat, as we were going whale-watching. It’d been nearly twenty years since I last went whale-watching, which was with my 3rd-grade class on a school field trip (which ended up disappointing, because we saw no whales). Considering my lackluster experience with whale-watching in the past, I didn’t expect for our tour to be any different. Surprisingly, however, it turned out better than I’d expected. We actually saw whales that day, particularly orcas. Funny enough, they put on a show by bobbing their dorsal fins and waving a pectoral fin from time to time. Although my photos didn’t come out that well, we actually got quite close to them, and it was pretty neat. 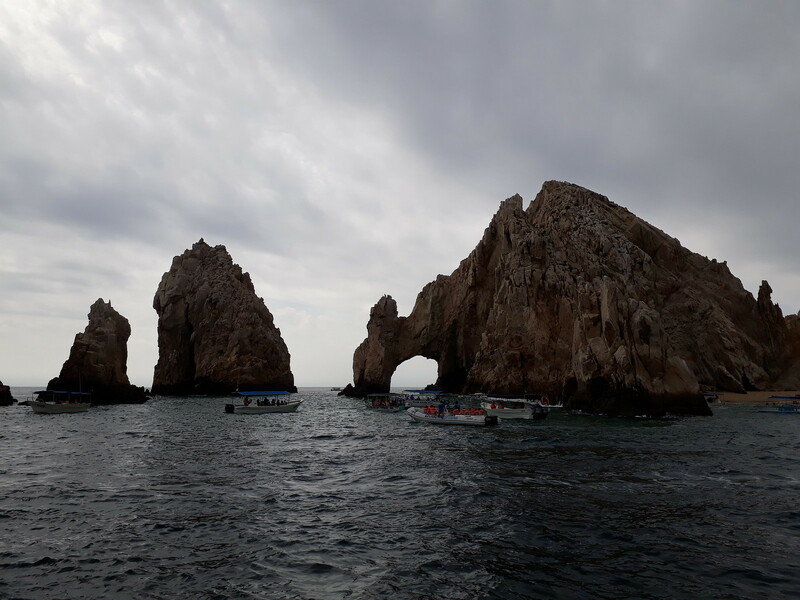 Aside from whale-watching, our boat took us towards and around El Arco, a rock formation that’s considered an icon of Cabo San Lucas. It was merely a stop for photos before we continued to see whales. Our tour lasted perhaps two hours, and we returned to shore before heading back to our cruise for the day. While nothing too grand, Cabo was a decent introduction to Mexico, especially with the whale-watching we did that day. 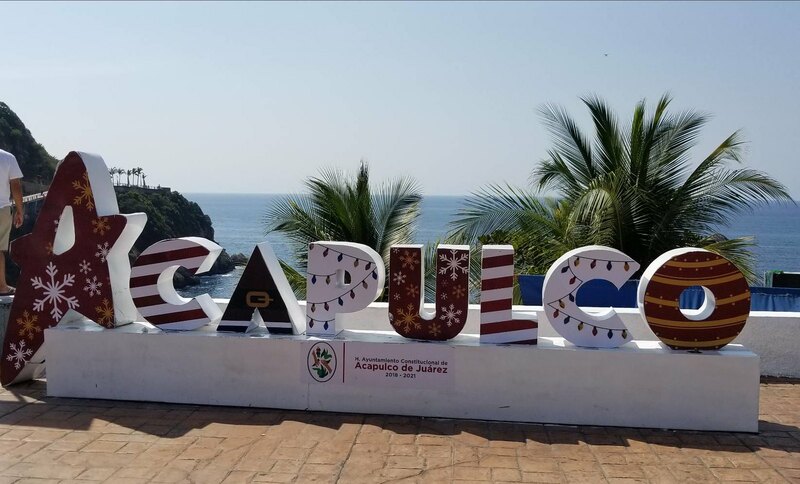 “Acapulco” sign (photo courtesy: my dad). Following another day at sea, we reached Acapulco, our second destination in Mexico. I also didn’t know much about the city, so I had no expectations while there. Likewise, we took a short guided tour, this time on land, around town as our tour guide gave us some information about the city. Similar to Cabo, Acapulco is also a beach resort town. It was made famous throughout the 1940’s and 1960’s as many celebrities and millionaires (including Elizabeth Taylor, Frank Sinatra, and Brigitte Bardot) flocked for vacation getaways. Soon enough, even the middle-class joined, as tourism expanded into the 1970’s with the building of new hotels and resorts. 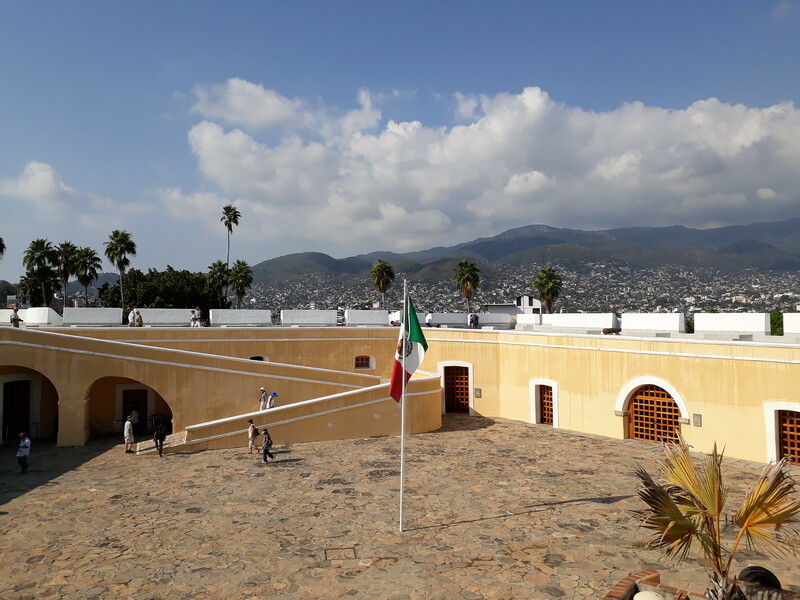 It still remains a tourist draw today, although sadly in recent years it has declined due to its growing crime problem among gangs in the Guerrero region (in which Acapulco is in). 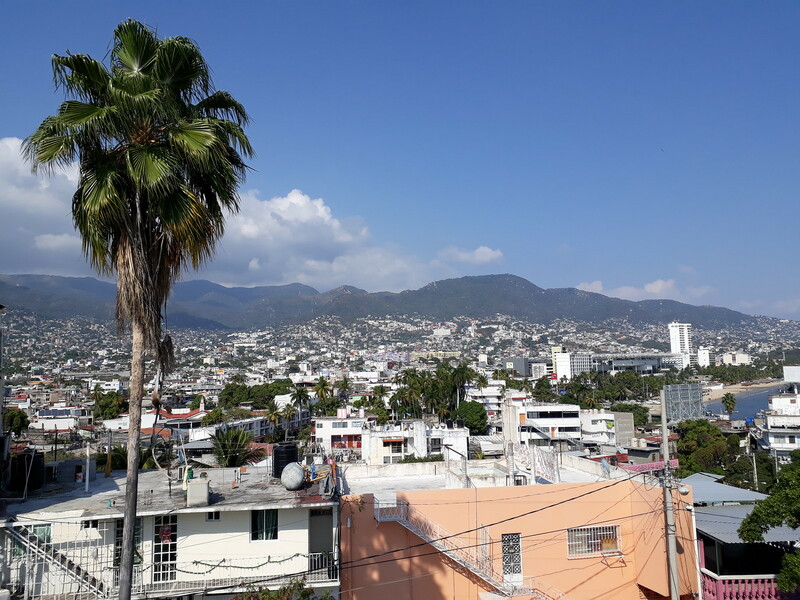 Despite being called the “murder capital in Mexico,” Acapulco seemed fine to me when I visited. After all, we were only brought to specific areas of town, and we were always with our guide, so nothing seemed out of the ordinary. In fact, I was more concerned about the intense heat and humidity, as I’d never experienced anything like that in winter before. It definitely distracted me from really taking in my time in Acapulco, which was a bit unfortunate. 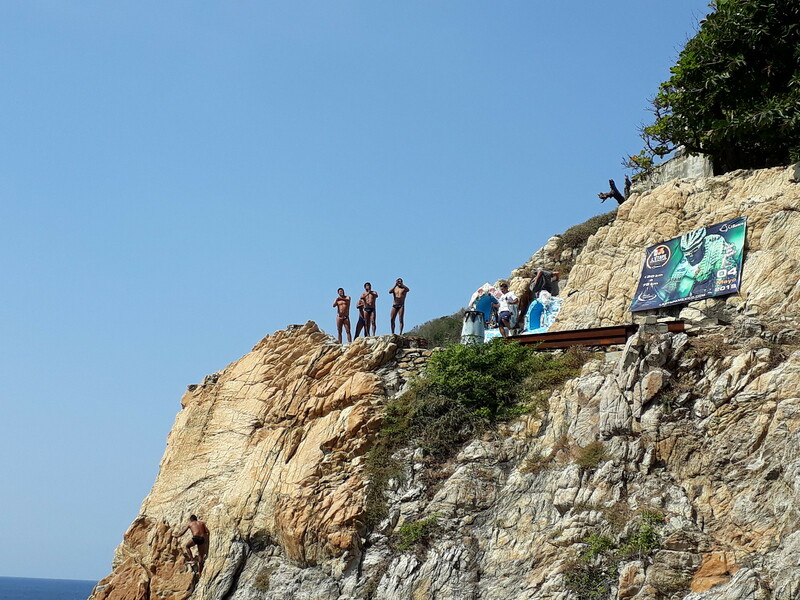 We took a scenic drive along the coast line towards one of the cliffs in town, where we saw a cliff-diving show by La Quebrada divers. They are essentially professionals who’ve trained since childhood to jump from the high cliffs into the swirling jagged waters below, all the while wearing nothing but a Speedo. Sounds dangerous, to say the least, but it’s a tradition for them. Interestingly, they retire in their mid-40’s and receive a substantial amount of retirement money from the government. Even though I, along with other fellow tourists, had doubts about the safety and ethics of this form of entertainment, we were nevertheless impressed with how deftly the divers were. Finally, we visit the Fort of San Diego, a star-shaped fortification located over the harbor. We toured the various rooms inside, which had relics from its Spanish colonial times. 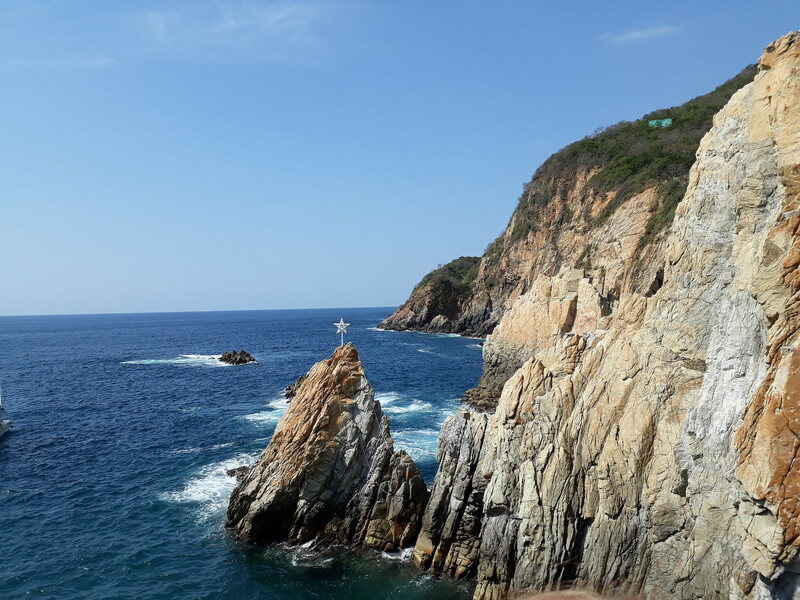 Personally, I didn’t find it so interesting, but the views of Acapulco and the sea from the top were lovely. Views from Fort of San Diego. Overall, I found the cities visited in Mexico nothing much to write home about. There wasn’t really much to them, considering we just visited resort towns. The heat and humidity were also very off-putting, as it was challenging to enjoy my time when I felt like I was being steamed alive! Mexico wasn’t my favorite destination on the cruise, but still a place I’m glad I got to see, now as an adult. I’ll be recapping more of my January cruise through Central America soon. Until then!